So would I be right in saying that the former brickyard pits are the green area between Crestway and Rowan Lea? They might have just been filled with soil dug from elsewhere on the site. A view from the Coney Banks about 1962, Mill Lane on the left. Crestway, Downsview and Bankside still to be built 3 or 4 years later. Are they prefabs on Roosevelt Avenue/Cunningham Crescent? yes patmore, they are prefabs in roosevelt ave, my brother-in-law lived in one till 1964. I wouldn't argue with you about Downsview, Redge but as I walked along the top of the Daisey Banks to Fort Luton School each day I could see Crestway gradually being built on the opposite hill and that was mid 60's. Mill Lane may have been late 50's and possibly the extreme Luton end of Crestway. Crestway was built in 1959. Downsview was ten years later 1969. OS. map from around 1960, bottom left clearly shows the seven valleys. Overlay bottom right, though not very sharp, shows present day development so you can get bearings. good point patmore, could have been the site of the clay excavations. hi thanks for that! now did that have a big slide going down behind the old prefabs! if so i loved it their well nice! 1898 OS. 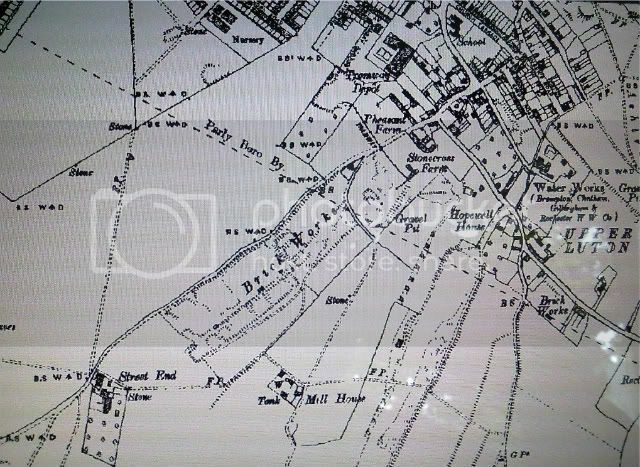 map shows that ground as a brickworks, might explain the 'umps and bumps. Spent many a long summer round there. As a couple of young boys Mervin (his house backed onto the valleys and I lived in Crestway) and I spent the many a summer there. I seem to remember Mervin falling out of a tree and into a major patch of stinging nettles, thing was in those days early 70's) us kids used to wear shorts. Idont supposed I went into the valleys after 58 but didn't realise they were still there in the 70s anyone recall when they went? 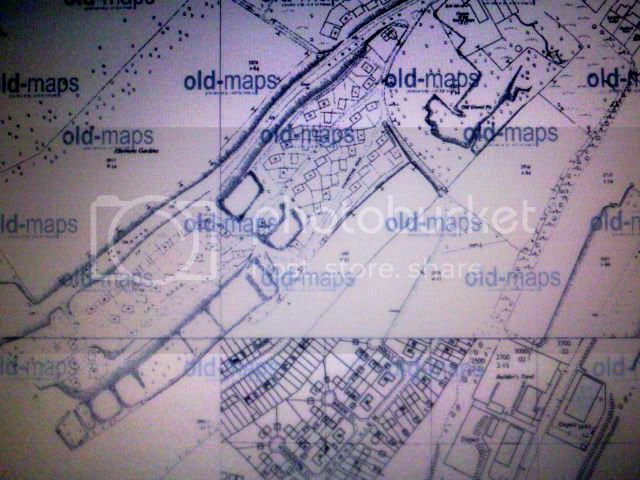 any one google map that for me, love to see it but i was born 1974 and i don't remember it? like to see were it was but!